Few Sundays ago we were privileged enough to be invited by Dr. Nikhil Datar, a pre-eminent gynecologist and medico-legal expert to witness his premier talk on Patient Safety. It was hosted by IMA Dombivali and had a strong audience of over 40 doctors waiting to hear Dr. Datar’s talk. Dr. Datar had recently returned from UK where he attended a program organized by WHO on Patient Safety. Plus91 Technologies believes in making patient centric solutions which don’t just automate the clinic or hospital but also improve quality and service. Keeping this in mind, the presentation was interesting not just for the doctors but also for us. The doctors were interested in the talk, intrigued by what new information can they hear. It started slowly but filled with practical examples the doctors soon were eager to know more. More than that they realized in their own practice they need to reflect and close loopholes so that they ensure patient safety. The doctors really got involved with questions, interactive cases and videos. We think they all walked out little bit wiser. As a software company involved in Healthcare, we think patient safety becomes a vital cog in what we are doing and it works at multiple levels. 1. Creating solutions which ensure and promote safety, 2. using the patient safety angle to promote such solutions which benefit the doctor in many more ways, but they finally see it as useful when something hard hitting as this is spoken about and 3. Increasing patient interaction and service allowing patients to feel safer and learn on how they should protect themselves too. So what all does patient safety entail? It covers a lot of ground from something simple like washing your hands before a physical examination to something complicated as giving instructions during a high pressure surgery. They key learning was awareness that things can go wrong and improving communications and processes to prevent minor errors from becoming major issues. Simple techniques like reading medicine names allowed, using color coding on various instruments, storing patient records in a neat and systematic manner help provide better quality care to the patient. We think from hearing his talk, the biggest initiative one can take in improving patient safety is increasing ones awareness in their surroundings. Being aware of the possibility and the effects of your actions goes a long way in preventing mishaps that can happen. Some major inferences were: Out of the 3.7% cases, only 1% could be called as negligent, 50% of these are preventable and most notable – majority of them were not individual failures but the system failures. We think a lot of good work is now being done in this field by numerous players. The ones which Plus91 Technologies is directly involved with include Dr. Nikhil Datar an epxert in the field, PIET (Patient Information and Education Trust) and NGO, PEAS (Patient Education and Awareness Series) who make wonderful videos and content driven education material, HELP (Healthcare Education Library for People) which have seminars weekly apart from the actual library initiative and Dr. Malpani who is organizing a conference in October in Mumbai exclusively dealing with Patient Safety. As technology pervades healthcare, we can already envision so many places where Plus91 can actively help improve patient safety standards. The possibilities are exciting not only in their scope and challenge but also because this is probably one place we can actually be able to claim we saved a life and that thought gives us a tremendous boost. Patient Safety is a vital aspect of healthcare. With a fairly large number of indirect deaths and also potentially life threatening situations resulting directly from lack patient safety it becomes a vital cog in the healthcare machinery. Software products are introduced in any setup to increase efficiency and accuracy, both important factors when trying to improve safety. I am going to highlight some basic examples how inherently as well by actual design patient safety measures can be improved through normal Electronic Medical Records or Practice Management Software. 1. Prescriptions and Medications: The most common errors are seen when doctors write prescriptions on paper and the patient or the chemist misread the prescription. This is a common occurrence and a printed prescription generated from software with already present Drug Data is the safest bet against such a mishap. Other errors which can be prevented include, mistakes made by doctors in writing the dosage or strength, which in software can be fixed to prevent wrong entries, also a check on concomitant medications interfering the drug can be done. These features are already present in the Plus91 clinic package Clinkare. Ensures no errors happen due to differing writing styles or hand writing. Another neat feature is sending reminders to the patients/nurses to take the appropriate medication at the correct time via SMS. This ensures no missed dosage which could have lead to problems. 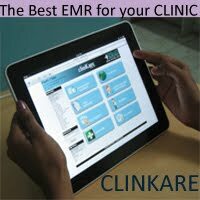 This feature is available in ClinION the hospital management solution from Plus91 Technologies. 2. Patient History: Doctors in a hurry, if patient comes without papers can prescribe the wrong treatment in case the data is not properly documented. 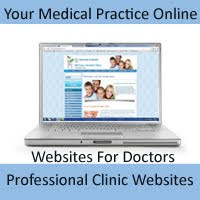 It is vital to know previous visit experiences which can help the doctor make a better decision. Almost all softwares allow storing overall patient and current complaint history which helps doctors make better and more accurate decisions thus ensuring patient safety. This feature ensures that reliance on memory is less! In the new age software patient history can also be coupled with Clinical Decision Support systems to help the doctor make his or her decisions in a better and more accurate manner. 4. Consent Checks: A patient must know what procedure they are undergoing, the risks and also most importantly dos and don’ts. A software can for all the procedures ensure that the consents are filled using a reminder / validation system to ensure the patients have been given the once over either by the doctor as a series of questions and answers which are entered in the system or using a video/presentation format with a consent thumbprint or electronic signature taken at the end. This is vital so that the patient does not make mistakes because of not knowing he or she had to come empty stomach for a procedure. Plus91 softwares automatically allow you to link vital consent forms to various tests, procedures and consultations and remind you to get them filled. 5. Check lists: The Indian Born adviser to the American President on Healthcare issues is Dr. Gawande just released his new book “The Checklist Manifesto”. A checklist is the doctor and hospital staffs most trusted friend. Often negligence cases leading to patient safety mishaps happen because proper procedure was not followed. Many types of software come with check lists which need to be marked as complete before the next screen of tasks can be accessed. This ensures that all important steps are carried out and in order. Checklists can be determinate that is fixed in nature like an inventory for a particular type of surgery. Some check lists can be flexible, like an in house patient prescription check list or schedule followed for an entire ward. Using software both can be checked and managed without a fuss. 6. Improved analysis: Software allow us to collate all sorts of medical data, this data can now also be analyzed to make future decisions better. Knowing what kind of patients react to which medication, or which months cause more complaints of a particular type of disease or maybe information on which doctors have better recuperation rates vis-à-vis their treatment methods all allow the healthcare system to better prepared for future patients.